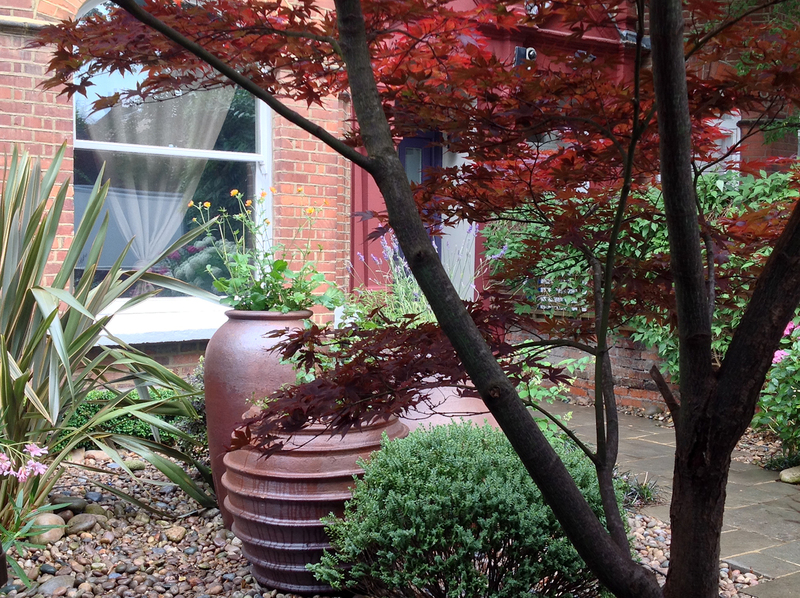 This front garden is home to structural mature trees with great Autumn colour and tall ironstone planters filled with Roses, Geums and Irises The mature trees reduce some of the sunlight in the garden. 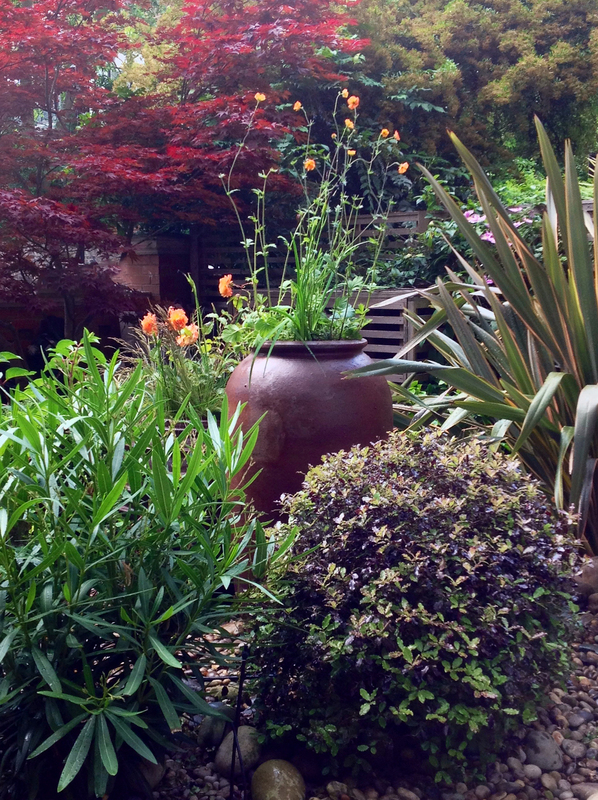 The photos show a re-working of this garden, enhanced using tall pots creating the opportunity to get plants off the ground, away from the shadows and into the sun light. 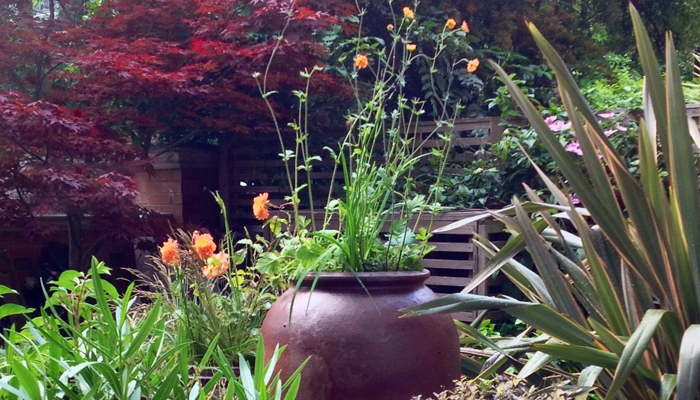 Spring bulbs will be a focal point in the pots next year. My clients' enjoy the sculptural quality of the Ironstone range we chose to work with and are delighted with the results. 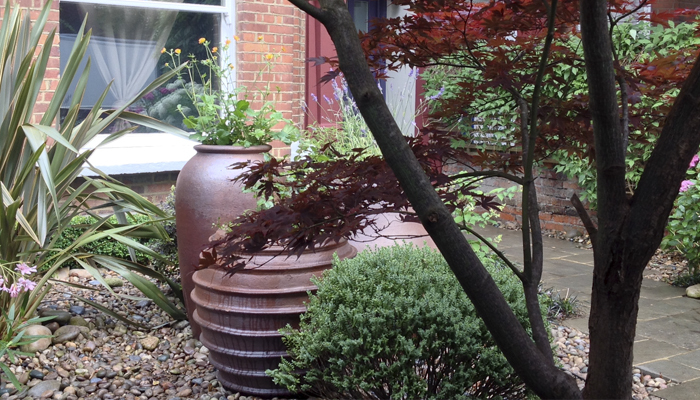 The colours work well with the Victorian brickwork and the colour choices and textures of the planting design.